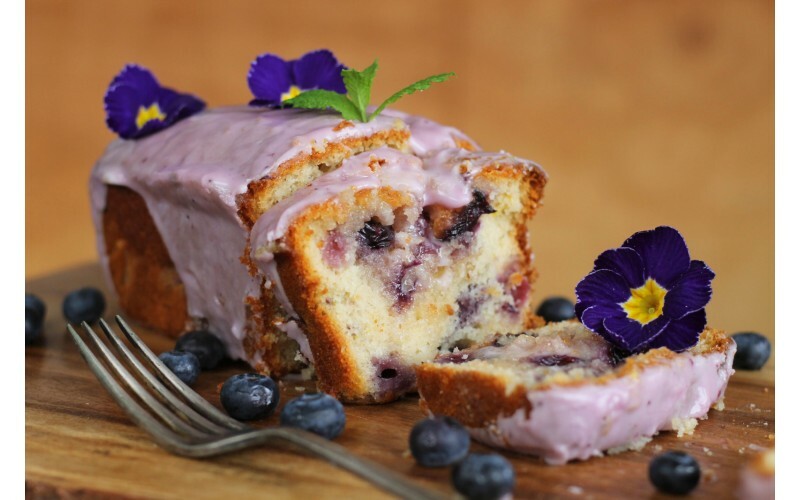 A classic cake with a blueberry twist... a favourite for tea time and coffee shops! Moist, delicious and very moreish! Preheat oven to 200°C (or170°C fan)/400°F /Gas Mark 6. Lightly oil the large non-stick loaf tin. If it’s metal, base line with baking paper. If silicone, no baking paper is needed, but place it on a metal tray for stability. Sift flour, baking powder and salt into large bowl and stir well. Add the blueberries and set aside. In a separate bowl whisk together sugar, syrup, oil, milk, vinegar, lemon juice. Stir in lemon zest. In a glass or ceramic bowl, whisk up the aquafaba until it turns a bit frothy and light. Set aside. Pour wet mix into the bowl with dry mix and stir thoroughly to combine (but don’t overbeat). Now fold in the aquafaba to complete the cake batter. Tip mixture into prepared tin, place on middle shelf of oven and bake for 30-40 minutes. It may need a bit longer so cover it with baking paper to stop it over-browning if necessary. If using a silicone loaf tin, leave it on the baking tray until the cake is completely cooled – this prevents it from cracking or breaking. Mix the lemon juice and sugar together. When cake is baked prick top all over with toothpick. Spoon the lemon drizzle evenly over the top and sprinkle over the zest. Sieve the icing sugar into a mixing bowl, add the sieved jam and water. Whisk until you have the desired consistency. You might need to add more icing sugar or water depending on whether it's too thick or watery. The cake will last up to 5 days in airtight container and freezes well.